Great to hear about how your weekends were – crazy to think it’s Thursday! 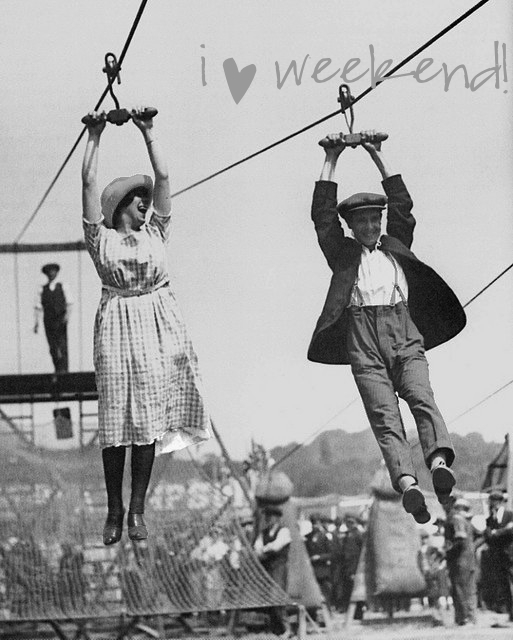 Three day weekends ROCK – can you imagine if we always worked for only four days? Seems so much healthier to me (and man the week goes by so much faster!). It’s been a good week since I last blogged: work, “Fat Tuesday” (dinner and connecting with friends), work, and stormy weather. I love how the weather changes things: sunny skies and warm weather sure put everyone in Calgary in a good mood but gray, rainy weather makes me hunker down and enjoy working indoors! I thought I’d start a new Thursday series for something different: A “day in the life” in different aspects of my days. These posts won’t just be fitness-focused or health-based as there is so much more to life than focusing on your #PROOF in the gym and clean eating – living a balanced life means enjoying, learning, growing, giving, experiencing and loving outside of the weight room or kitchen too! So today I wanted to shed some light on my life as a WIFE. One of my highest callings is to be a wife to Mikey – to support him, to love him, to honor him and to respect him. Although I’m not as certain on the idea of having kids, I always knew I wanted to be married and I am thankful that God lead Mikey and I to be together. Life is never as you plan it, and marriage is certainly no exception. Nothing can replace living with someone, watching their cute quirks turn into annoyances, growing with them, learning how they sleep and if they like to stroll or walk fast, how much space they take up in the bed…You know what I mean. But the main reason I am thankful for marriage is because it is an example of how Jesus treats the Church, his bridegroom. While I fall so far short of representing the Church and Mikey doesn’t always act like Jesus toward me, that is what we are striving for: for Mikey to love me as Christ loves the Church and for me to serve Mikey as the Church should serve Christ. 3. God is faithful, powerful, and willing. In other words, our marriages live in a world that does not function the way God intended and we cannot escape the environment in which God has called us to live – but it is all a part of his plan despite the brokenness that surrounds us. Moreover, we are sinful! We all KNOW this (does anyone need to be convinced of this? No. 😉 ) and it sounds obvious to say it out like that, but we don’t always think of the truth that we married people who are not perfect. Both people bring something into the marriage that is destructive to what a marriage needs and must do. But lastly, there is hope and the third reality: that we are not alone in our struggle. As Tripp writes, “Yes, you live in a bad neighborhood (fallen world), and the two of you are less than perfect (sin), but in all this you are not eft to your own resources. The God who determined your address lives there with you and is committed to giving you everything you need” (25). Being a wife who honors her husband and truly makes him feel respected is one of my daily life goals. But it’s not easy! What’s the main reason? Because I’m selfish. I get upset at Mikey because he gets in the way of my wants and desires (which are about me, for the record). I’m learning that the biggest question we must ask ourselves about marriage is this: Whose kingdom shapes my marriage? Is it my own, personal kingdom or God’s bigger, bolder, freer kingdom? Furthermore, whose kingdom defines my dream? There have certainly been ups and downs that neither Mikey nor I could have expected, namely, among other things: cancer. It’s unexpected, but in a way to be expected, for what “right” do we have to think that everything should go as we designed and planned? It sounds obvious when you read it, and yet we do expect things to be relatively “roadblock-free” in life – perhaps acknowledging the bumps but certainly not the divots, potholes, and detours. Like everyone else, we snap at each other, get impatient, and can be manipulative in our speech and actions. But for a day in the life as a wife sneak peek, I’m sharing more my heart: that I would put Mikey’s needs and wants above my own and get myself out of the way of our marriage. One of the best things I read today is this: “If you are going to have a marriage that lives in unity, understanding, and love, you must have a little-moment approach to your marriage.” Think about your life. How many huge, life-altering moments do you remember? Two, maybe three? Life is made up of little moments. – Think of his love language – acts of service (take the quiz online for free to find out what your own love language is – it’s so helpful to know how you give and receive love the best and how your spouse does too!). He so appreciates when I do things for him (whereas I’m a words-of-affirmation girl): getting him cookies and milk, cooking dinner for him, cleaning up so it’s nice when he comes home. – Trying to respect him by not nagging. This is tough for me! Sometimes I feel like he doesn’t hear me when I ask a question (because he doesn’t respond), so often I end up getting in his face and making an issue over nothing. I need to heed the words that are throughout Proverbs and not nag – not let my own wants and desires take precedence. – Support him in his work. I go where he goes, I work around what he is doing, he leads our family of two. My desire is to make him feel respected and supported in what he is doing. We get dirty together (outside). 😉 We laugh lots. We explore new places. We genuinely like being around one another. We try to think of one another and regularly say what we love and appreciate about one another. We wrestle, Mikey loves to bite my cheeks (face), I love how practical and mindful about life he is. I love to talk at night in bed and get riled up when he pokes fun at me and he appreciates how I truly enjoy commercials (especially inanimate objects like salt shakers that cry or laugh or have friends). The biggest key to our marriage is keeping Christ at the center of it – it’s certainly not us acting on extreme love or unbelievable self-control! But we are growing. And I’m thankful for God’s grace and his willingness to redeem our marriage daily as marriage is a great way for me to grow closer to Christ – thinking not less of myself, but thinking about myself less. There is SO much more to share about the day to day (the frustrations, the realities, the beautiful moments, the exciting times, the regular moments of life together), but that’s all I’ve got for today. Are you married (do you want to be)? What do you think is the best part and the hardest part about being married? How have the realities changed from your initial perceptions? I love this and after 15 years married and 19 years with my husband it has been a ROLLER COASTER of an awesome time. putting them first.family first. makes all the difference in my life. Family first. You said it! And wow…what a testimony to a faithful, loving marriage! Have you read “Created to Be His Helpmeet” yet? Have I sent it to you yet? It’s perfectly inline with your marriage sentiment! No, you haven’t sent me it (but no worries – you’re so kind!). 😀 Love you, Linds! Awesome post Bonnie!! I am engaged and cannot wait to get married to my fiance. Currently we are in a long-distance relationship which makes things even more challenging, but so worth it. I think the hardest part about being married will be making sure that we don’t fall into a routine and start to lose the passion- I’ve seen that happen so many times and I do not want that to happen to ours! love this new series idea!!! you guys are so adorable! Oh wow – what an awesome post!! I don’t even know what to say after that, an amazing reminder of how marriage is supposed to be and how we need to focus on Christ to grow even closer together. I think my favorite part of my marriage is that Kirk really is my best friend and there’s no one I’d rather go through life with — especially as we get ready to move across the country. I’m so happy that God brought him into my life. Thanks for this kind comment, Heather! So glad you and Kirk have each other. 🙂 Here’s to new adventures ahead in Colorado! This year my husband and I will celebrate 10 years of marriage (it really doesn’t seem like it’s been that long!) and I completely agree with what you said above…I think you have it exactly right. ESPECIALLY: “Each little moment is important; a marriage doesn’t go bad with a bang but with little moments of ignoring one another, of letting issues irritate you, etc. Likewise, a marriage is built slowly with bits of forgiveness, beauty, and intentional moments…” so very true! This is such a great post and great idea for a series. Love all the pictures, especially your wedding pictures. You’ve summed up so much here. Marriage is a roller coaster of good, bad, silly, not so silly little moments. I’m so glad to have found your blog! I love the photos from your wedding! You are right marriage is a a roller coaster – that is really exactly what it is. Great post bonnie! I am married and I love the ride! My hubby is anything but predictable so I love the fact that no matter what crazy tangent he is on it is interesting…. I try to live the advise my grandma gave me on her 60th wedding anniversary, ‘Be quick to laugh and slow to anger.’ – this is not something I am good at but I do love these words of wisdom and example that they set. The best I can do is strive to follow it! Awesome, awesome post! Marriage is hard work, but so rewarding, especially with Christ as the Center of it! I’m a Pastor’s Wife in the South, and when my husband was in Seminary in New Orleans (right before Katrina hit! ), the President’s wife had a class for us wives. I can’t remember the title of the class, but it was something like “How to Be a Minister’s Wife,” which still cracks me up! One of the most practical, real bits of wisdom she shared with us was this (and imagine it being said in the slowest, most southern drawl you’ve ever heard): “Now, Ladies, you must always remember…NONE of you married Jesus!” LOL!!! On a side note, my hubby and David Platt (the author of the great, latest book you’re reading) went to Seminary together and he and his family are precious and his books are fantastic! Anything by him is a great (and convicting!) read! I’ve been reading your blog for a while but I forget how I found you. I decided to de-lurk when I saw that you got married in Plain! My childhood best friend owns Just Plain Grocery and Gas (the store there) and I spent so many fun days there! Anyway, I loved this post. My husband and I are in the process of moving from Oregon to Nicaragua and with all the stress it’s been hard to *lovingly* serve him. However, service isn’t really service unless it costs something so I need to buck and change my attitude and start looking for some small things I can do to show him I love him, especially now when we’re stressed out! So, hello! Nice to meet you! I look forward to getting into shape and being able to do some of your workouts, I love that there isn’t much equipment required! This is awesome! You are awesome! 😉 Thanks so much for reading, Jenni, and for coming out and commenting (I lurk a lot too, no worries). 😉 That’s crazy about the Plain connection – of course we did everything at that store (because, as you know, it’s really the only one there!) – rented movies, got gas, picked up last-minute grocery items, cheap bottles of wine… 😀 Thanks so much for commenting! It’s so hard to serve when you’re stressed, but you are so right in saying that it’s not serving if it’s not costing you anything – what a good word and reminder to me too. I hope the journey goes well – would love to know more so I’ll check out your blog! oh how did i miss this post?! i love it! and you are so right! Lindsay is so right! Life is made up of those little moments. We must be a helpmeet for our men. God first as our foundations. Imperfections make our marriage unique.